There’s a rad new yoga mat on the scene that’s giving you the ability to practice anytime, anywhere. 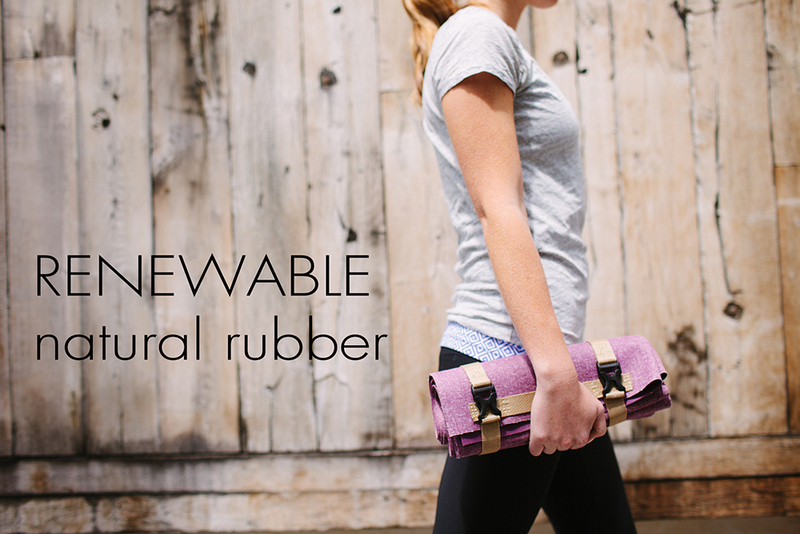 Introducing The YogoMat, a biodegradable and sustainably-harvested rubber yoga mat that is light, compact, and 100% recyclable! Following a successful Kickstarter campaign last year, the creators of The YogoMat have been making a buzz with their super lightweight gem of a yoga mat. The YogoMat folds up to the size of a wine bottle, so it’s compact enough to take just about anywhere; to work, to the studio, heck even to the mountains and the Carribean! 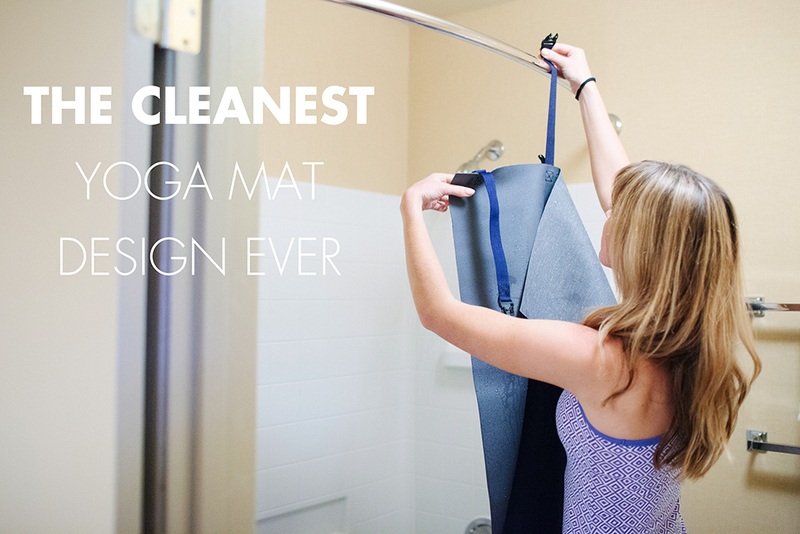 We have to say that we really do think it is by far the best travel mat out there, as it alleviates the frustration of having to lug around a heavy yoga mat -- making the whole experience of practicing yoga just so much easier. It also has good grip and traction on just about every surface -- even when it gets a little wet! And for anyone that’s germ-conscious, the way the mat folds with its fold-and-snap design means the germs and dirt from the ground will never touch the surface that you touch. Phew. As a nice little bonus, the company also gives 1% of their profits to charitable organizations that use yoga to help make the world a better place. So to sum it up, with YogoMat, you get a biodegradable, compact, 100% recyclable, lightweight, easy-to-clean travel yoga mat made of natural tree rubber and cotton mesh. 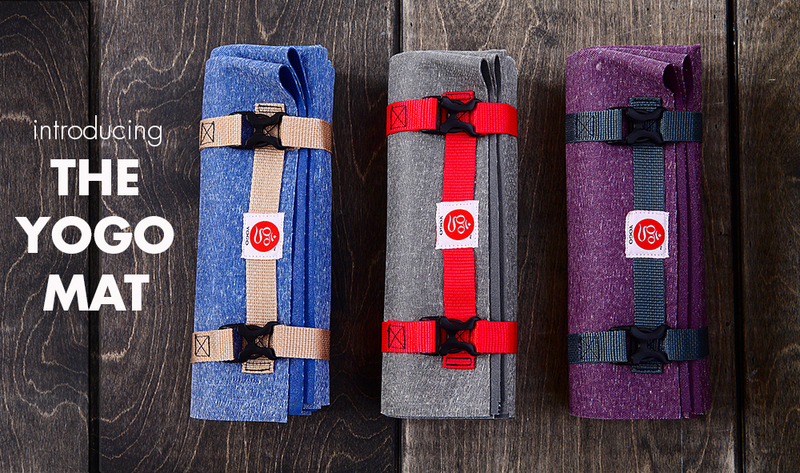 The mat comes in three colors, and is now available for sale online. Check out the Yogo website for more information.